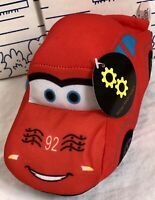 Disney Pixar World of Cars #66 Tar Lightning McQueen Die-Cast Vehicle! lucastreasures02 has no other items for sale. Disney Pixar Cars: Dinoco 3-PACK of 1:55 Scale Die-Cast. New.